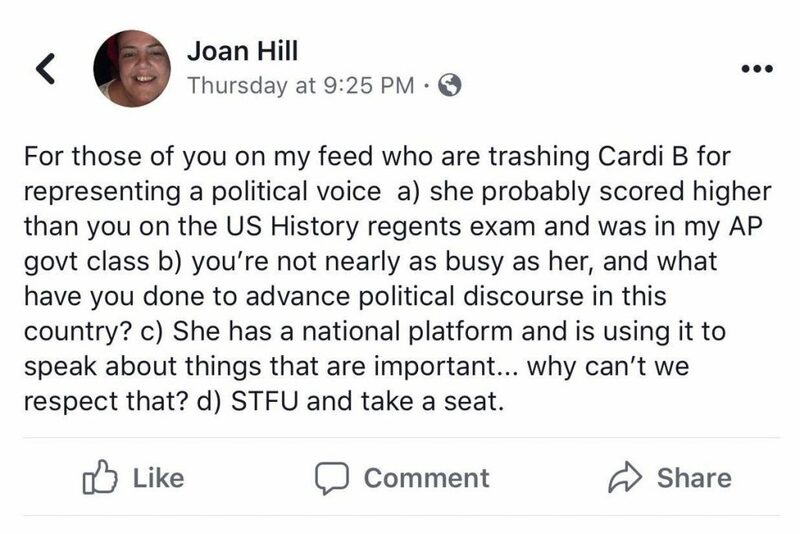 “Why can’t we respect that?” Joan Hill, former history teacher of Cardi B asked on Facebook. 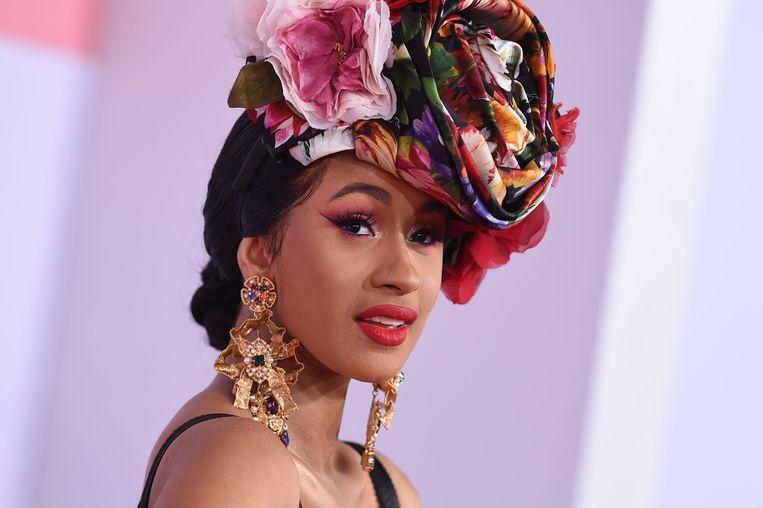 In America, Cardi B (26) is under fire because she is beginning to express her political opinion more and more. A teacher of the star now takes it for her. “Why can’t we respect that?”, The woman wonders on Facebook. Cardi B recently made it to the Donald Trump government. She criticized, among other things, the bad policy of the president, as a result of which officials were forced to be sent to the food bank. She also refused to act on the Super Bowl because she wanted to support the athletes who are fighting against racial inequality. That is not welcomed by many fans of Trump. From them the rapper gets the full layer. Her former history teacher, Joan Hill, now takes it up for her.